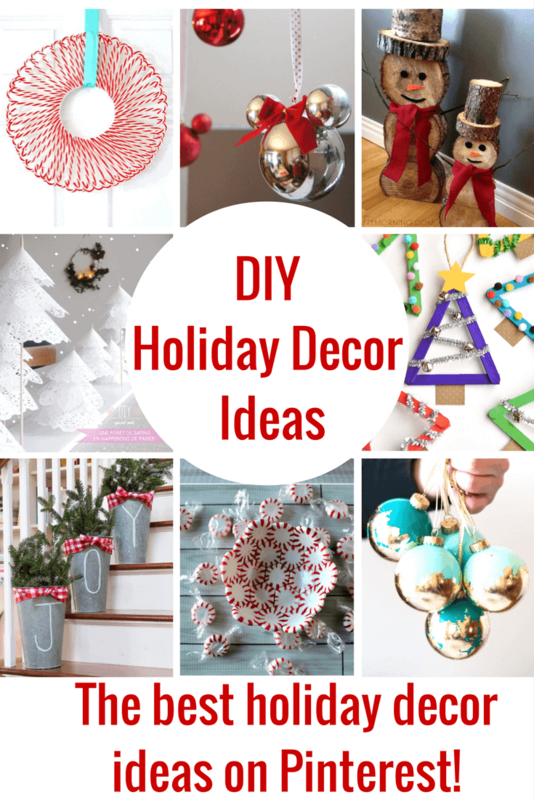 These are by far the best DIY Holiday Decor Ideas! Not only are these Holiday decorations super cute, they are all easy enough to do and you don’t have to be Martha Stewart to pull them off! 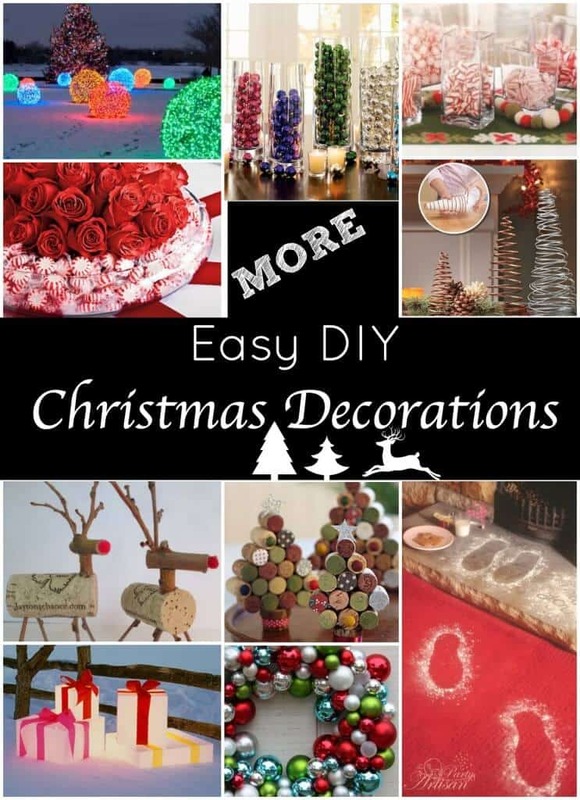 Are you always looking for holiday projects and Christmas decorations that you can make yourself? Sure – you can go to the store and buy decorations, but they are so much more special when you make them yourself! 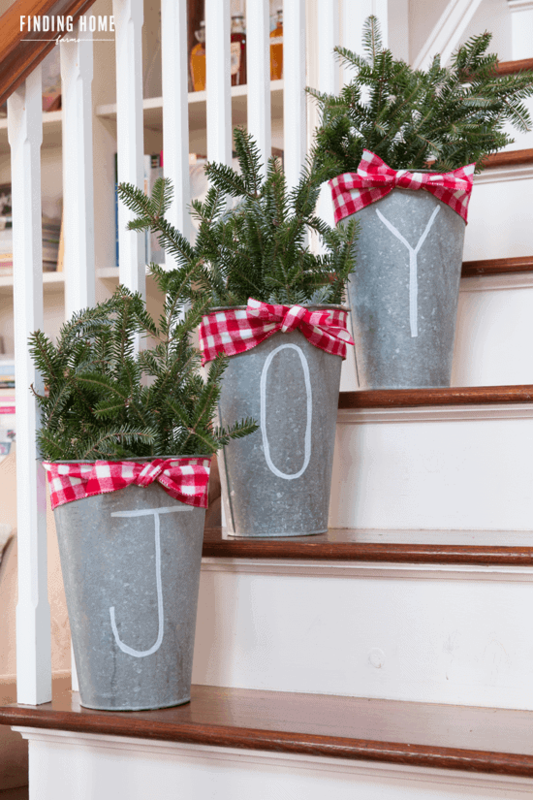 The holidays are slowly making their way here and these DIY Holiday Decor ideas are going to give you a huge head start! I always see so many cute things, but it is always too late to finish them before said occasion. I have a feeling I’m not the only one here that feels this way, right? Well, I have a little bit of everything from ornaments, door decorations, and beautiful things for tables and windows to share with you today! 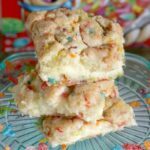 I know you’ll find something out of all of these goodies that you’d like to make for your home or as a gift! 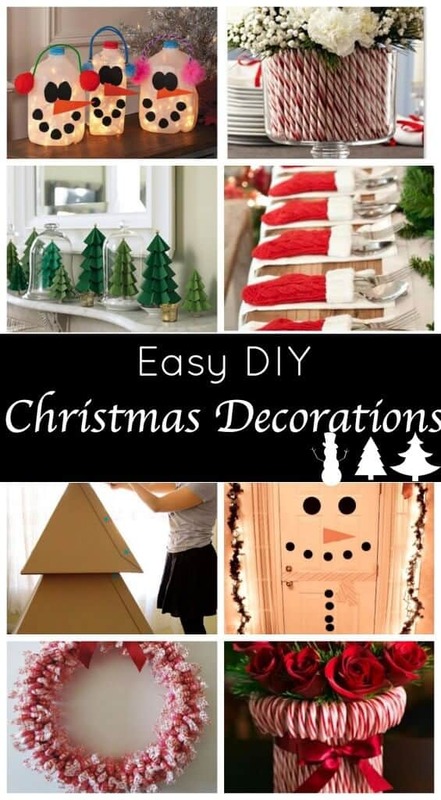 Let’s see those easy DIY holiday decor ideas! How can I not begin with the Elf on the Shelf? This elf can cause a lot of parents angst, but not to worry, because we have rounded up the Best Elf on the Shelf Ideas! These are awesome and we have you covered with some last minute ideas in case you forgot to move that elf! 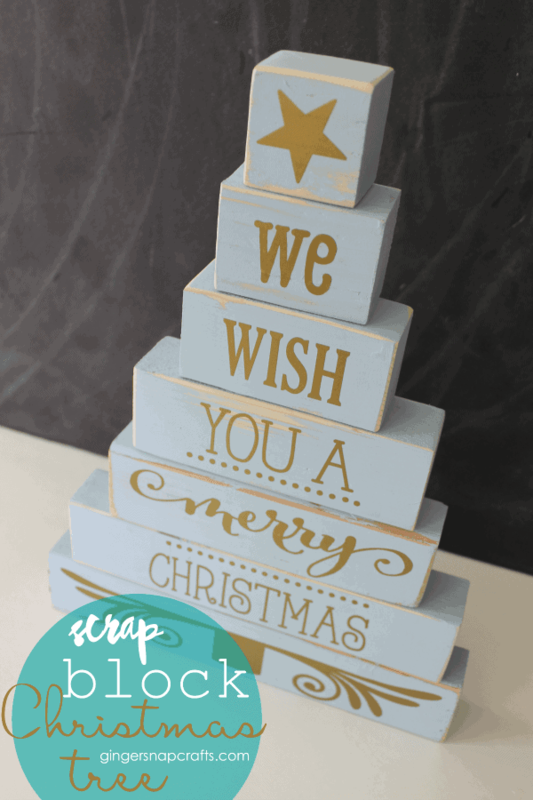 Wood Block Christmas Trees from Today’s Creative Life – These will look super cute on your mantel or stacked next to your fireplace. Don’t have either of those, not to worry – a counter, table or even outside your front door will work too! 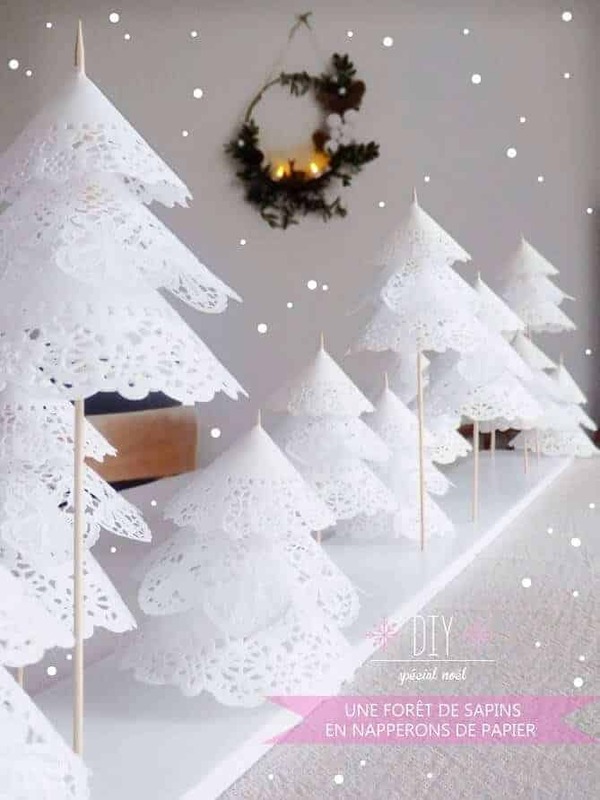 This forest of doily trees by Oui Oui Oui Studio is stunning and it looks really easy to put together! People will think you spent hours upon hours cutting these patterns out – don’t worry…we won’t tell! Gorgeous! 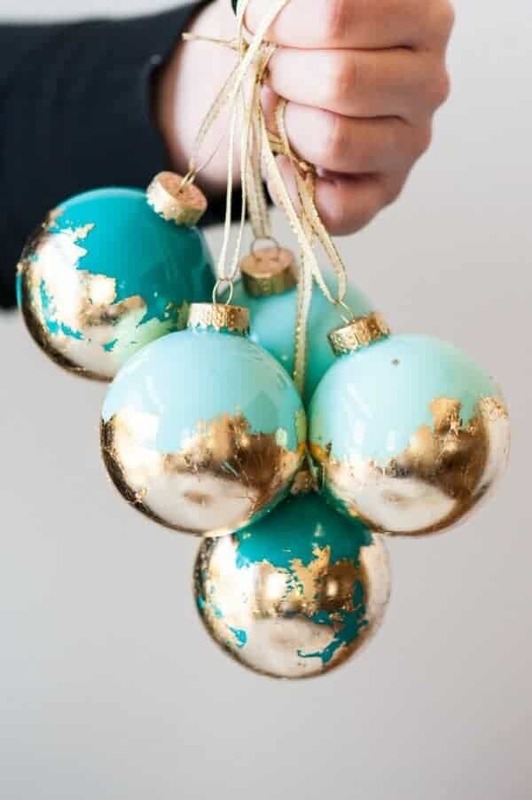 I am in serious love with these gold leaf painted ornaments by The Sweetest Occasion. Aren’t they just fabulous? I might even do them in various shades just to go a little further with them! LOVE! Last year I made this peppermint candy dish out of real peppermints and it was a huge hit! These are great for teacher gifts, hostess gifts or just to put candy in at your house! 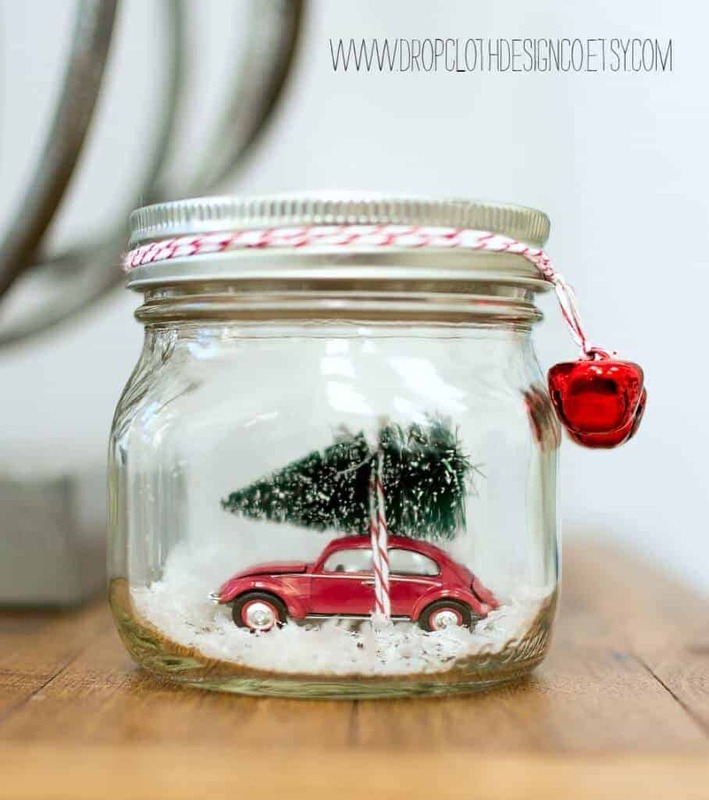 This car in a jar snow globe featured on Mason Jar Crafts Love is just about the cutest thing I’ve ever seen! Such a sweet idea and the possibilities are endless on all of the adorable scenarios you can make with this! These popsicle stick trees by One Little Project are so cute and the kids could get in on the fun! This will make a great activity over the holiday break. They would also be really cute to put on gifts as a decoration! 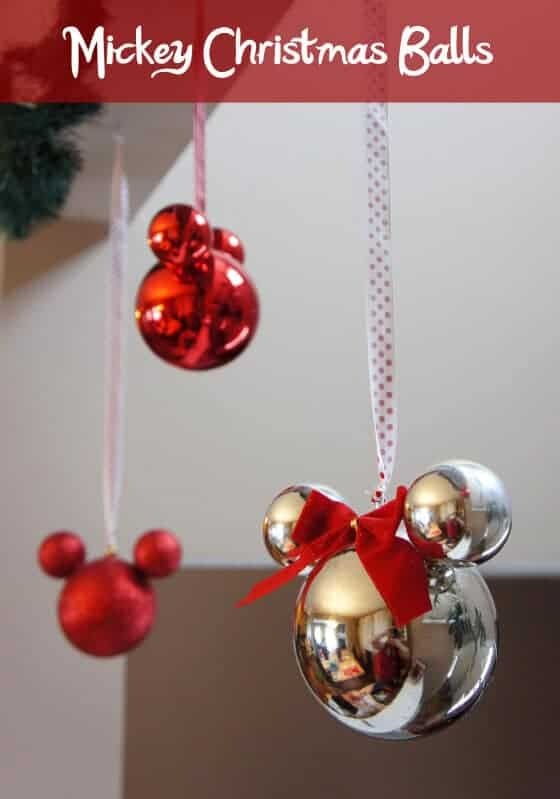 Dolled up Designs has made the cutest Mickey Christmas Ornaments. Perfect for all of you Disney fans out there! 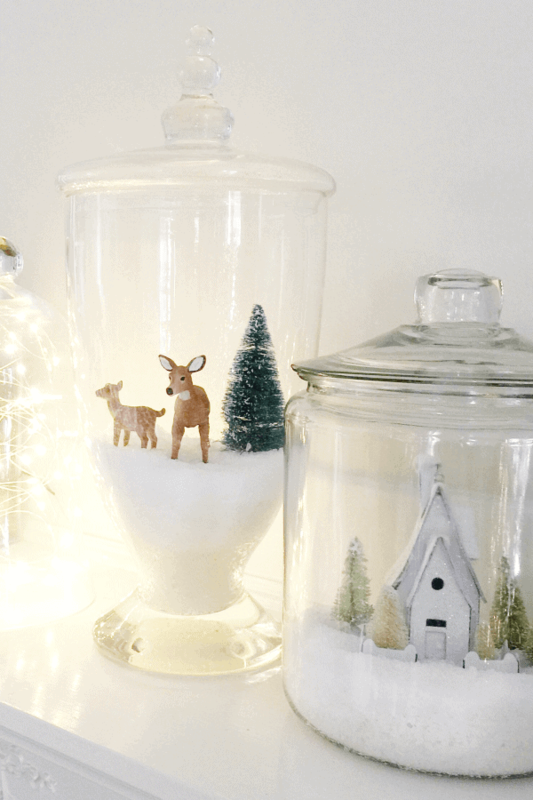 These Christmas jars by The Idea Room are so pretty and serene. I think they are beautiful! They are perfect for my mantel! Saving up on my Michael’s coupons!! 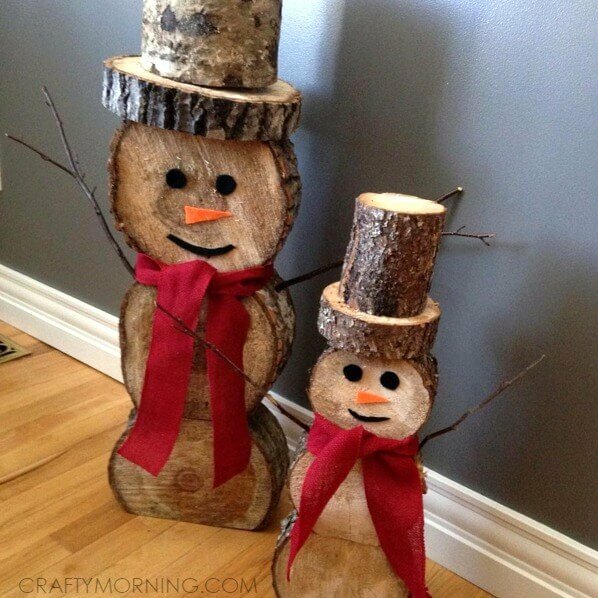 Crafty Morning has created snowmen out of logs and I am just smitten. These are also good for out on your front porch too!! 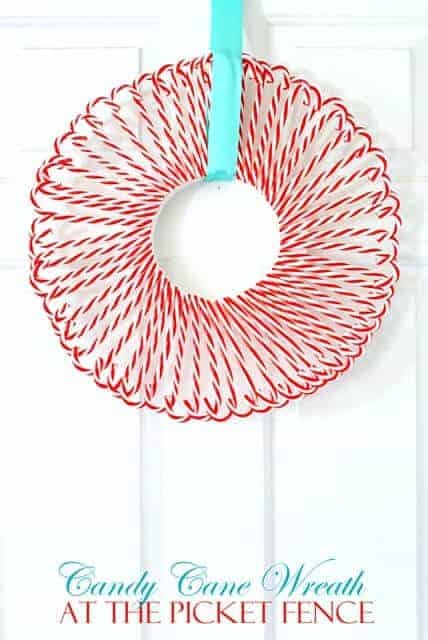 How about this candy cane wreath from dollar store finds from At the Picket Fence? 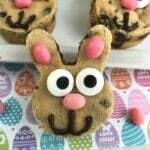 So cute and delicious!!!! Finally, I love these galvanized buckets from Finding Home Farms. Just a little chalk pen and greenery! This is one that I even cannot screw up and if you use artificial greens, you can’t even kill them!!! Just very creative and beautiful ones, Jenn. You remind me that Christmas is coming. This time ot learn how to decor my home with this nice stuff. 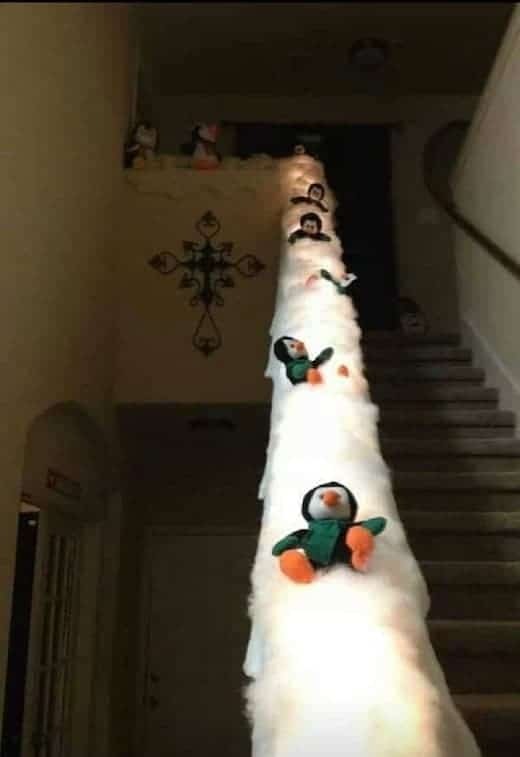 Based on your ideas, I will try to make a plan to decor my house. Will share with you once I am done. So cute! I like your post! Thanks for sharing! That little car in the mason jar has stolen my heart. I’m definitely going to have to make one of these for my desk. Thank you for sharing the ideas! I was exactly looking for the same kind of article. Personally, I liked it a lot. I want to say from my deep of heart that your blog is awesome keep doing this sort of work. Very cute pics, well the holiday season is fast approaching. It’s almost time to start putting those displays back out. mypaydetails! Great holidays decor liked it alot personally.